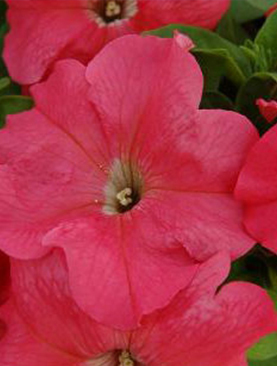 Petunia Limbo Salmon - Brad's Bedding Plants, Inc. This fast-growing spreading petunia, blooms freely all season in landscapes and containers without cutting back, and tolerate both heat and cooler conditions very well. Flower-filled plants grow a little more mounded than original Wave, with a more controlled spread. Avoid wet foliage going into night. Keep well fed for best performance. Grow 6-12” tall and 30-39” wide. Needs full sun.